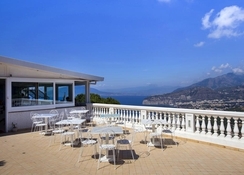 This apartment hotel is located in Sorrento, boasting stunning views over the surrounding area, the Bay of Naples, and Mount Vesuvius. 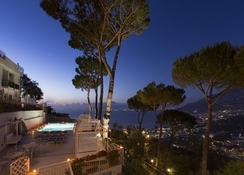 This wonderful is located just a short driving distance away from the centre of Sorrento, Positano and Amalfi. Naples Airport is just 60 km away from the hotel. 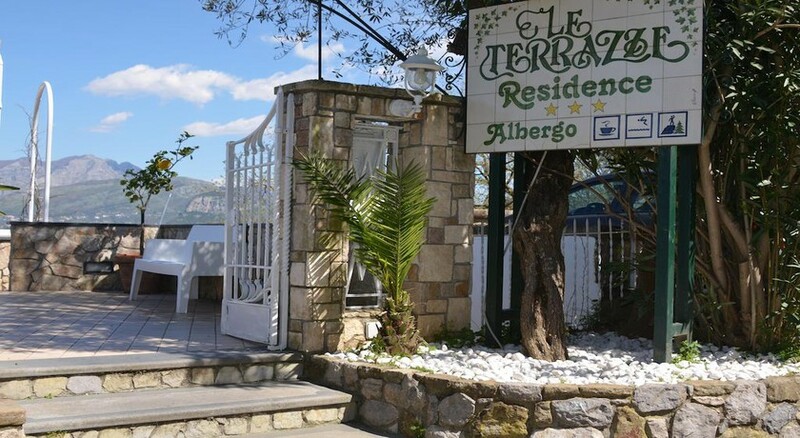 This wonderful hotel comprises beautifully-designed apartments, which offer a comfortable home away from home. The apartments are well equipped with modern conveniences, for added comfort. Guests can relax and unwind in the evenings, with a refreshing drink from the bar. Guests are sure to experience the rich culture and history of this mesmerising area from this charming hotel. 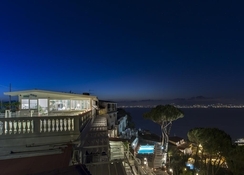 The hotel offers unforgettable views of Sorrento- the bay of Naples and Mount Vesuvius from its panoramic terrace with outdoor pool. All apartments have a balcony or terrace overlooking the sea. The bus to Sorrento- Positano and Amalfi stops nearby. Sorrento is about 20 minutes drive. The bar is open all day during the summer and serves snacks. Naples Airport is 59.8 km away.